From Jason Blum, the producer who brought you the Paranormal Activity series and the 2011 surprise hit Insidious, comes another low-budget horror movie titled Vigilandia. Being called a “futuristic thriller” for Universal, there’s not much else we know about the picture at present. 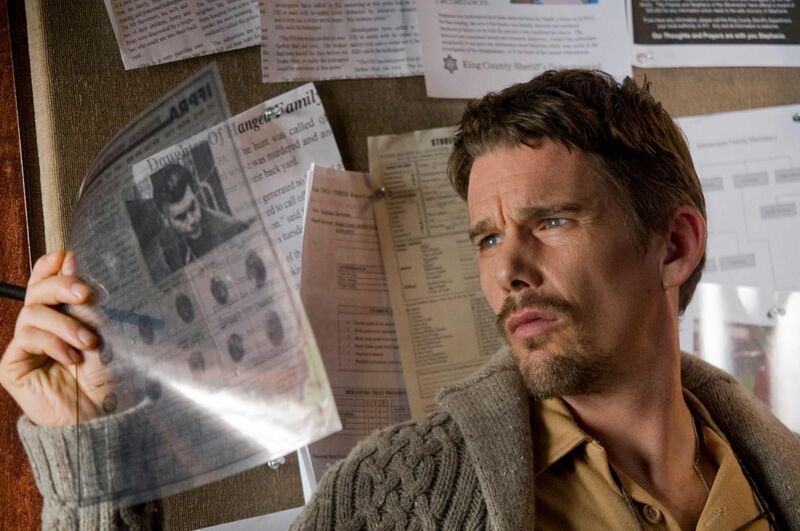 What we do know is that Ethan Hawke (Training Day) is expected to star. James DeMonaco (Little New York) will direct from a script that he wrote and plans to begin production on February 13th. Vigilandia will be a joint production effort among Blumhouse Productions, Platinum Dunes and Why Not Productions. This will be the first picture under Blumhouse’s new deal with Universal after Blum produced the previously mentioned horror success stories. Hit the jump for more. THR reported on Hawke being attached to Vigilandia, which is a reunion of sorts for Hawke and Blum. Hawke is starring in the Blumhouse-produced thriller, Sinister, for release later this year by Summit. DeMonaco and Hawke also have previous history, with the actor starring in the Assault on Precinct 13 remake, written by DeMonaco. Hawke also starred in the Little New York, which was written and directed by DeMonaco. The actor can next be seen in this year’s remake of Total Recall by director Len Wiseman (Underworld). Love em or hate em, the low budget horror films seem to be a fad as of late with big returns earned by tiny budgets. Vigilandia is merely the latest in a string of them, with Paranormal Activity 4 slated to hit theaters later this year and a new project from the makers of smash-hit The Devil Inside due to start production in April.